• What do I choose? • Where should I look? Galleries, auctions, online dealers? • Do I go with modern or more traditional art? • Which piece will look better on a particular wall? • What medium is best for my space: a painting, collage or sculpture? • What is the best placement for my art relative to my current furnishings? • How much should I spend? • What do I need to know about framing? The above questions are critical and the average person doesn't have the answers. Those looking to buy art often don't know exactly what's out there or what it is that they want. They can fail to consider the size of their walls or surrounding furnishings. Because the purchase of artwork is a costly investment it's crucial to get it right. In exploring these topics and more, we consulted with art advisor Cynthia Byrnes of Cynthia Byrnes Contemporary Art. Cynthia suggests the first step in art buying is to establish a budget. By coming up with a dollar amount, an art advisor has a framework in which to help you select particular works. If you want to put most of your money in one or two locations in the home, Cynthia would help you find investment pieces that fit that need. She also notes that an advisor can help educate the client on such particulars of the business as value, auction records and blue chip works. "Interpreting a client's point of view and articulating what it is that they respond to is an important first step for art advisors, whether it's a particular genre, medium or composition. The advisor will present an edited group of artists and works for consideration, whether they be emerging or established." 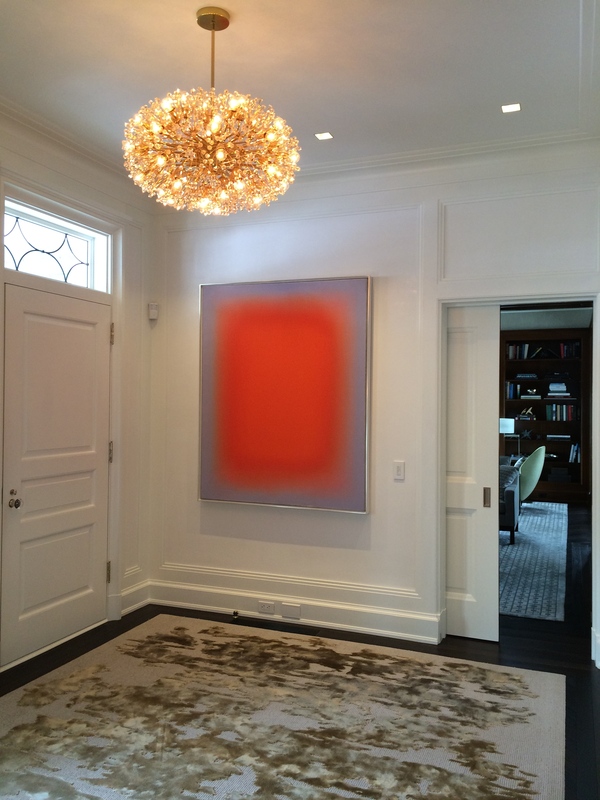 Like interior designers, art advisors know how to interpret ideas into physical realities. 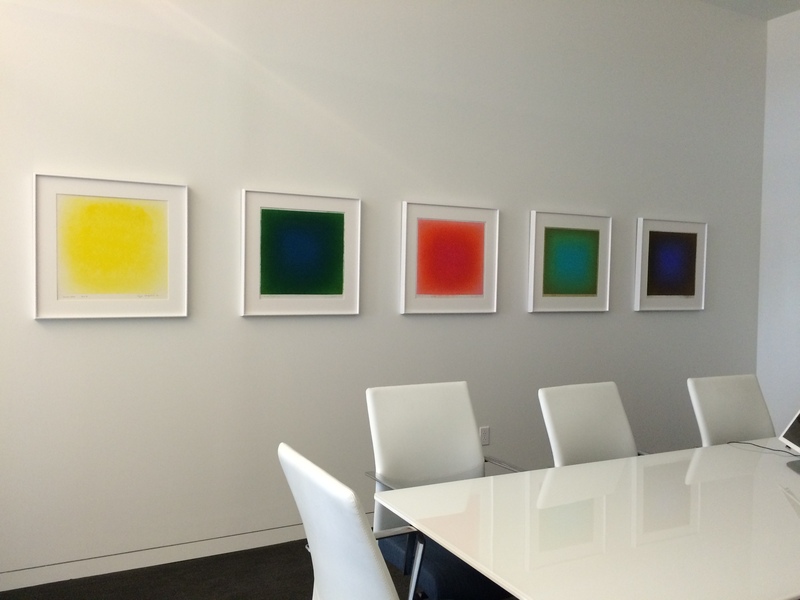 "We learn what types of art really excite a client," she adds. "For example, a client may say they do not care for abstract art, but when exposed to certain abstract works, they may respond differently." In effect, they have a visceral response to the work - responding, as Cynthia says, "in a individual, emotional way to each piece." "An art advisor will have the ability to curate a body of work from different artists and mediums to benefit the client's selections." 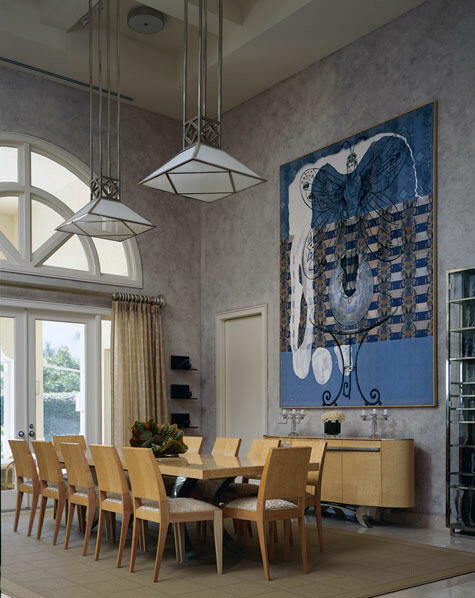 An advisor has the eye and the experience to help you tackle decisions like whether a grouping of prints or a single painting would be more effective and powerful. Want to fly first class in the art world? Maybe you are looking for something super special? If you are interested in seeing items that the average person doesn't have access to, you will need to work with someone on the inside. This is where an art advisor can be your magic pill, and present several options. They may take you to various galleries where you can view a series of installations from different artists. Or, they may save you tons of time by providing you with a customized list of the best on-line sites that offer exciting selections, while ensuring that you stay on course. Alternatively, there are now many online offerings, which are intimidating to navigate but become excellent resources when you have the guidance of a professional. Most illuminating of all, though, is a visit to an artist's studio, where the client is able to actually get an inside look at an artist's vision and workspace. "Visiting emerging artist studios, especially for the new collector, is especially inspiring," explains Cynthia. "The client may also choose to commission a work of art, if they decide they love a particular artist's vision." 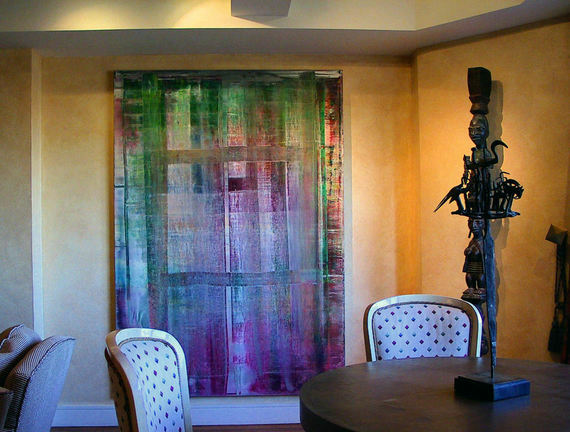 So you are exceptionally talented at selecting art work, and you have all the right pieces. Now what? In the sports world this would be equivalent to having an all-star team. You may have the best players in the game, but if they are in the wrong positions and are not functioning as a team, you aren't going to win the game. That's why sports teams have a coach. The coach helps to make sure that the team is positioned for optimal results. "When collectors are beginning the process, it is very helpful to have the stability of an advisor guiding the process. There is nothing more titillating than to be at the home of an established collector and see known work sitting next to an exquisite piece from a completely unknown artist. It's like having the inside track on the next best and brightest!" 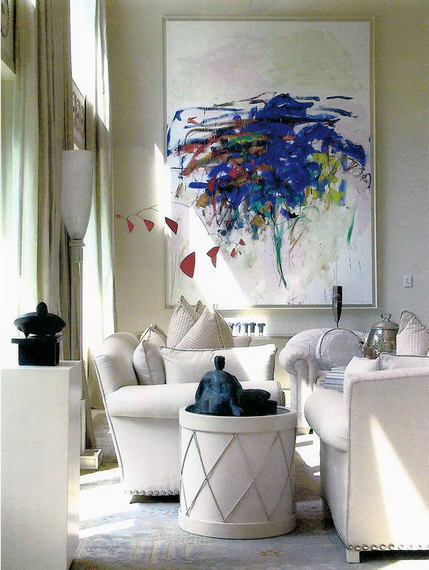 For the interior designer, the question is one of scale and proportion. Do the works fit well on the walls for which they were selected? How do the works fit and work surrounding elements like furniture, walls and existing art? In addition, it is essential that the correct art lighting be incorporated into the design scheme for proper illumination of the work. There are specific art lights made for such a purpose, which can be installed into the ceiling or on the wall above the work. What kind of frame, if any, will look best around the work of art? "Everyone needs help with good framing and installation," Cynthia says. "Good framing, whether it's using a mat, floating a work on paper that has a lovely deckled edge or top hinging a piece on heavy French Rives de Lin paper, is part of the right presentation and makes a difference in enhancing the experience of standing before the work." DON'T FORGET: ART IS AN INVESTMENT - ARE YOU AN EDUCATED INVESTOR WITH A GOOD COACH? Whether it's a painting, sculpture, collage or photograph that you're looking for, the advice and counsel that an art advisor/interior designer team can provide is invaluable. 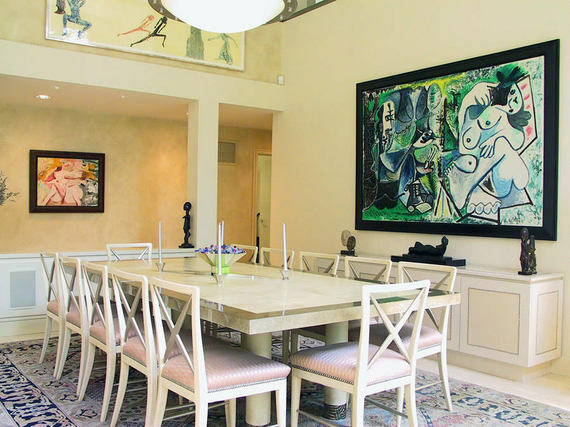 Art is one of the most significant and personal investments you will make in your lifetime and enlisting the guidance of true experts will ensure you find the perfect pieces for your life and integrate them into your home in a way that allows them to shine.